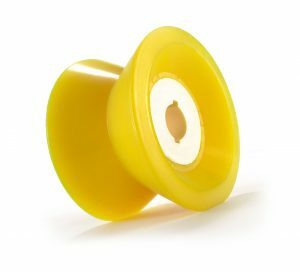 Urethane Roller Recovering – Polyurethane Roller Recovering! Looking for high-quality Urethane Roller Recovering ? You’ve come to the right source! 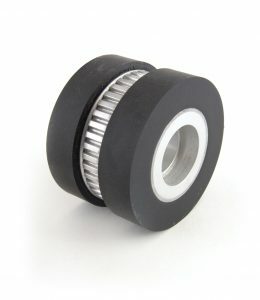 Urethane Recoating Bandsaw Drive Wheels: Urethane recoating bandsaw drive wheels are one of the custom specialty services we provide our industrial clients. Urethane is used in the wood-working industry, large band saws sometimes the size of a small building are used to process wood. A band saw will have a saw blade that will run on two wheels in a continuous loop. Industrial Urethane Roller Recovering: Industrial urethane roller recovering are one of the critical applications we perform for our industrial customers. We are able to recover almost any shaft for any application or industry. Industrial urethane roller recovering is performed in many industries and often times it is impossible to find replacements or are extremely expensive. Recovered Urethane Wheels: Recovering Urethane wheels are one of the critical services Plan Tech provides. We are able to recover almost any wheel for any application or industry. Urethane wheels are used in many industries and often times impossible to find replacements wheels or are extremely expensive. At Plan Tech we are able to reprocess the existing worn out wheel with finished recovered urethane wheels that often times outperforms the OEM originals. Recovering Urethane Conveyor Rollers: Urethane Conveyor Roller Recovery is one of the specific services provided at Plan Tech and we are able to recover almost any shaft for any application or industry. Urethane Conveyor Roller Recovery is critical in manufacturing because conveyor rollers are used in many industries and often times impossible to find replacements or are extremely expensive. Industrial Urethane Core Recovering: Industrial Urethane Core Recovering are one of the specialty services we provide our customers at Plan Tech. We are able to recover almost any core for any application or industry. Industrial urethane cores are often time’s custom parts and are extremely hard to find replacements and are extremely expensive to reproduce. Once the roller core is inspected, the parts will enter a pressurized clean room to be washed and degreased. All recovering services will be media blasted to ensure a positive lock to urethane and coated in a chemical bonding adhesive to ensure a bond as strong as the coating. When this process is completed the urethane roller will then be coated in any durometer or color material required for the application – OSHA safety colors are also available urethane rollers. We also have a full line of polyurethane additives FDA approved material for food handling applications. Our most common additive in urethane roller recovering services is anti-static additives to dissipate any electrical build up away from the urethane coating preventing processing material sticking to the urethane roller. The industrial urethane roller will then be machined again to match the OEM profile. Urethane rollers are usually a medium hardness to absorb an impact and return to its original profile for years and years. Urethane rollers do well against cutting or tearing. 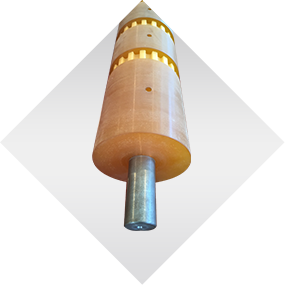 Each roller is manufactured at Plan Tech using high-quality polyurethane from world leading urethane suppliers. Industrial urethane core recovering applies to just about any size core or hub with a full line of secondary machining available in house. Often times customers will alter the urethane’s hardness for special applications. By being able to tailor our urethane allows changes that OEM replacements don’t offer! Please Contact us for further details regarding custom urethane roller recovering!